is a magical, medieval realm accessible only through the dreams of those who believe, but it is as real as the waking one and directly connected to it. It is filled with magical beings like wizards, witches, dwarves, elves, goblins, centaurs, merrow, pixies, faeries, and more, some of whom are born in Fedonta, and some of whom woke one day to find themselves there. Trolls roam the hills, werewolves howl at the moon, and, rumor has it that, there may be vampires in the caves. 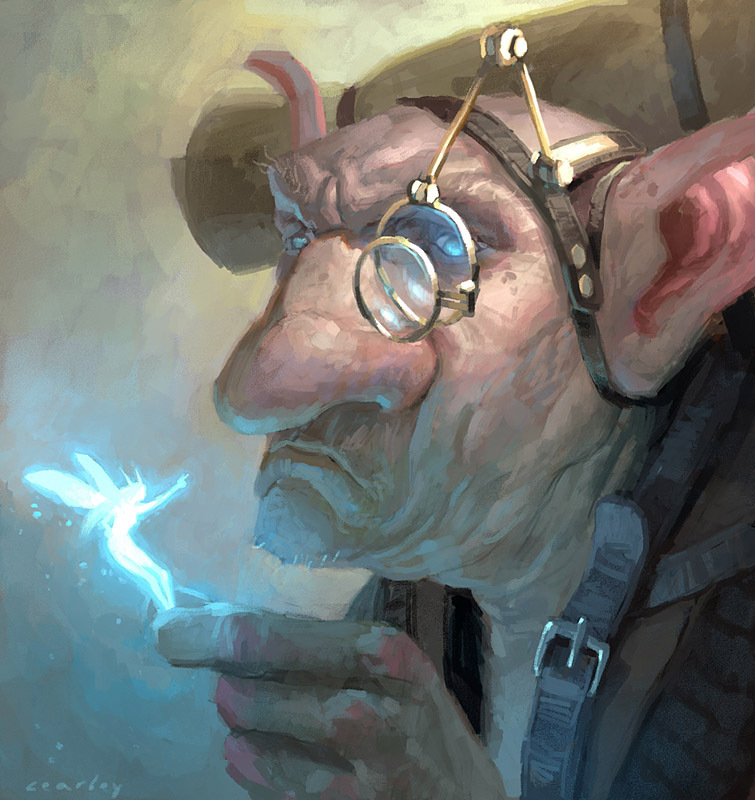 The Goblin illustration was beautifully created by and posted here with permission of Mr. Clint Cearley. Click here to see more of his magical work. Under Lore and Legend, you will find out about the stories and myths on which Fedonta is based. Researching the Realms will give you information on how I developed parts of both the modern and medieval worlds portrayed in Fedonta, as well as many of the books I used to develop the fantasy portions. Finally, if knowing where it is all from is not enough, you can start to think about what Fedontan Fare would be, and what a wonderful feast we could enjoy together. I even included some recipes. Pins about the land can be found on my Pinterest board DREAMING OF FEDONTA, and on my Google+ collection by the same name. Pins of the types of beings that inhabit that magical place can be found on this board, and beasts on this one. Ideas about Fedontan food and fashion can be found on these boards, too. I hope you will immerse yourself in this wonderful land and all the magic it has to offer you!